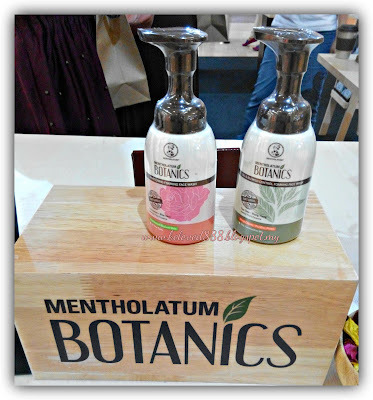 I am so excited when I get to know Mentholatum launches a brand new facial care series called " BOTANICS. BOTANICS uses the finest ingredients with the highest quality natural herbal essences from flowers and herbs. 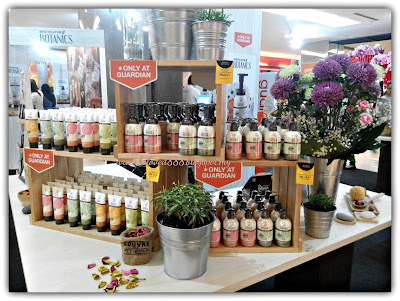 Each herb and flowers were carefully selected based on their unique properties to offer exceptional results to our skin. Do you know if your skin exposure too much to a products that contain chemical, paraben or alcohol can harm our skin in long term? 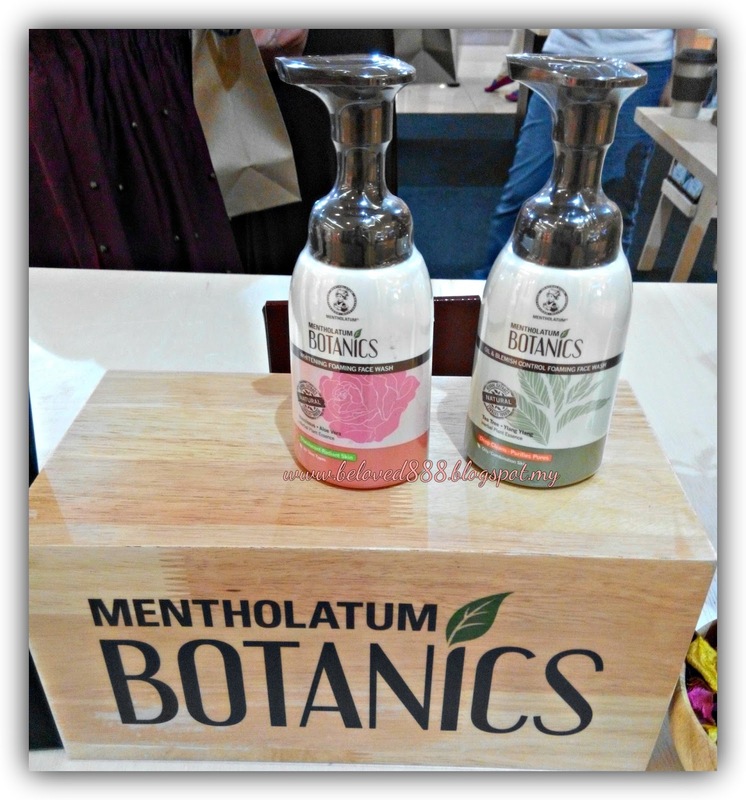 Change your facial product to BOTANICS that inspired by the goodness of nature from earth. No Paraben and using Natural Herbal Essences that safe to consume for our skin. BOTANICS consists of four range of products that are tube face wash, foaming wash, pump wash and sheet masks. 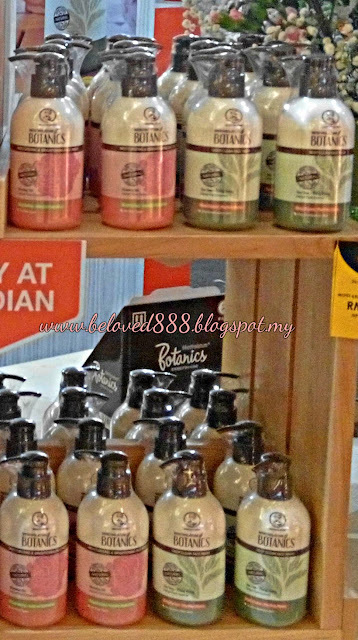 Foaming Face Wash, 160ml (RM 25.90) Foaming face wash has 2 different types. This is my favorite as I currently using Oil & Bleming Control Foaming Wash. This type suitable for oily or combination skin. It contains tea tree and ylang ylang extracts as it effectively help to control and eliminate blemishes and blackheads. My skin feel refresh and revitalized after using it and i did not my skin did not feel tighten. It also contain lemongrass that can give you the calming feeling. 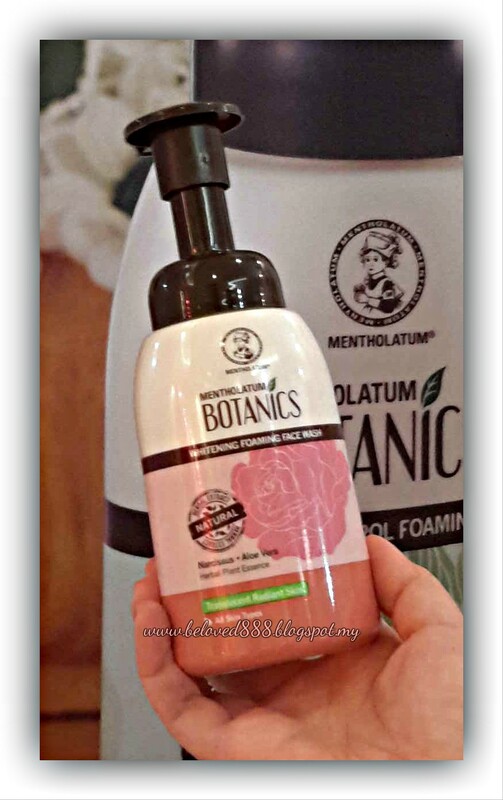 You will love whitening foam wash as you will enjoy the wonderful scent of rose when you cleanse your face. It contains Aloe extract and narcissus that can leave your skin moisture and at the same type you can see your skin more brighten. 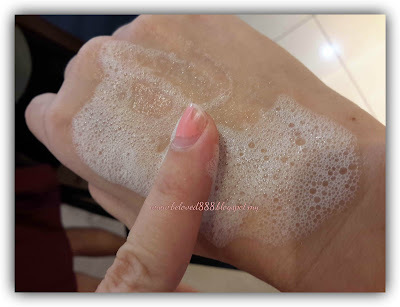 Whitening Foam Wash is suitable for all skin types. Face Wash , 100g (RM 14.90) The face wash suitable for users who prefer a handy tube and you can bring it with you during travel. Hydra Whitening Face wash contains Arbutin an extract from natural Bearberry plant that improve skin's radiance and brighten up your skin. while Argave helps to retain skin moisture and promotes collagen synthesis to protect skin against environmental harm. Squeeze a small amount on your palm and this powerful face wash can eliminate dirt and impurities deep inside your skin including the excessive skin while it help to maintain the balance of water in your skin. Hydra Whitening Wash suitable for all skin types. As we know Jasmine can calm and relax our skin. This face wash can deeply hydrates the skin as it cleanses.The main ingredient for Hydrating Face Wash is Calendula and Jasmine. While Aloe extract and Violet can moisture our skin after cleaning process. 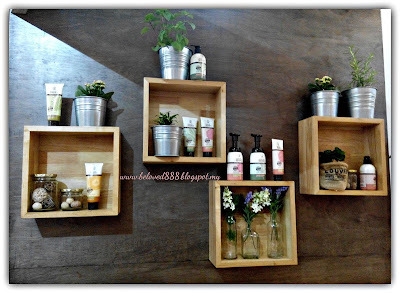 Its soothing properties also rejuvenate dry, irritated and sensitive skin. 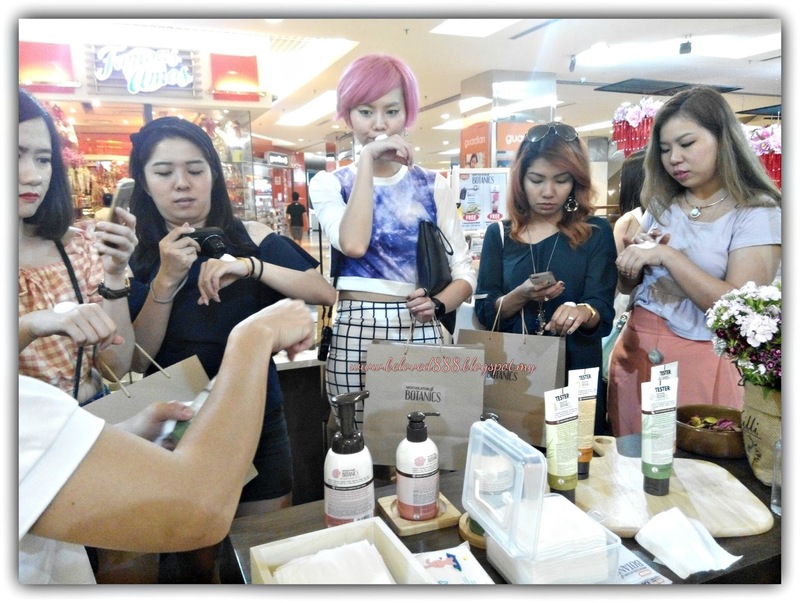 Hydrating Face wash suitable for dry and combination skin. No more worries about large pores as Pore refining face wash contains rosemary and Witch Hazel as well as Lentil and Green tea that can helps to minimize pores, control oil and fights acne that causing bacteria. The uplifting scent of Orange flower that clean deeply your pores to remove oil, dirt and impurities. Pore Refining Face Wash suitable for oily and combination skin types. Deep Cleansing Face Wash contains scent of lemongrass that cleanse and leave your face refresh. 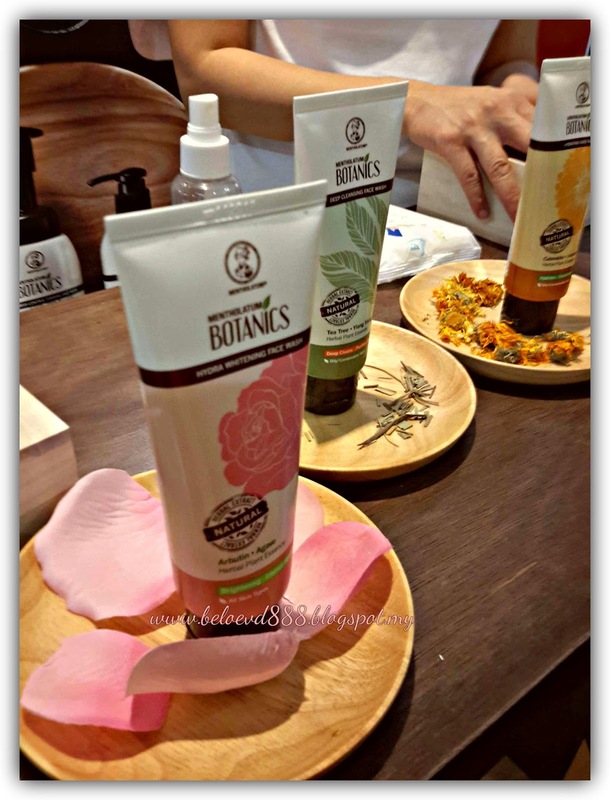 It also contains Ylang Ylang and Tea Tree extract as the main ingredients as well as White tea and Olive Tea that helps balance oil, deep cleanse and purifies pores. it helps to prevent blemishes and blackhead occurrence and suitable for oily and combination skin. Pump Wash is more convenient as you only need to pump once or two times for cleansing. Deep Clean Face Wash contains Ylang-Ylang and Tea Tree extract as main ingredients and it helps to control oil, prevent blemishes and also soothing on the skin. While cucumber and Aloe vera also helps for soothing and moisturizing the skin. Deep Clean Face wash also has lemongrass scent to refresh our skin after wash and you will feel relaxing. It suitable for oily and combination skin. It formulate with Rosehip oil that rich in Vitamin C and pearl extract that helps to brighten , tone and improve skin's luminosity. 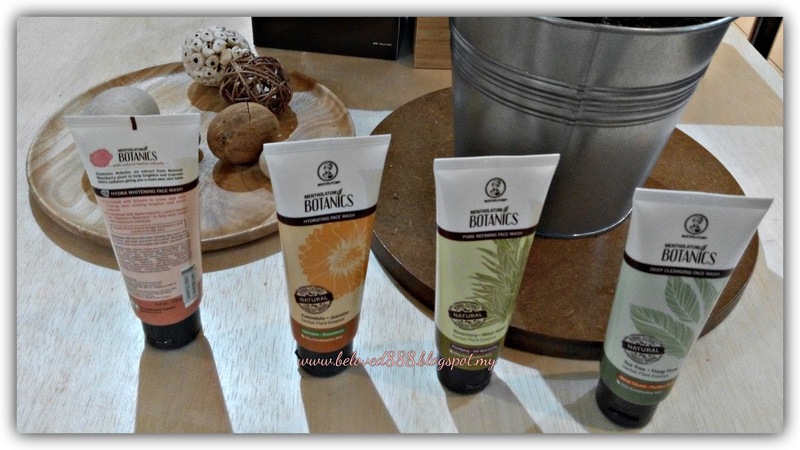 Moisturising and Brightening Face Wash suitable for all skin types. 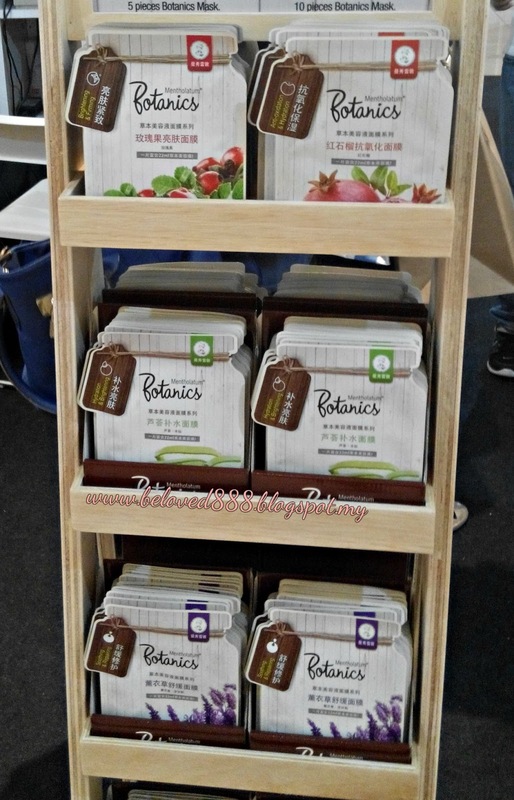 The BOTANICS Sheet Mask is infused with herbal essence and enriched with hyaluronic Acid to repair and rejuvenate our skin . It comes with 5 variants. It contains Aloe Vera and Narcissus that hydrate and soothe the skin apart from reviving dull-looking and tired skin. The mask suitable for all skin types and especially dry skin. Blended with Pomegranate and Natural Herbal Extracts to protects the skin from free radical damage which causes skin aging. 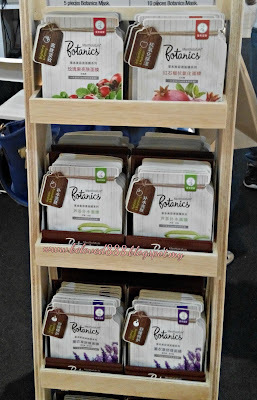 While rich anti-oxidants can moisturizes the skin and this mask suitable for all skin types. Don't worry regarding enlarge pores as Rosemary Pore Refining Facial Mask will help to diminish the appearance of enlarge pores for a more refined, soft and smooth skin texture . This mask also will retain the moisture for firmer skin. It also contains Vitamin B3 to protect skin against environmental damage. Rosemary Pore refining Facial Mask suitable for all skin types especially for oily and combination skin. Rosehip oil is naturally rich in Vitamin C to help brighten the skin tone and improve skin luminosity. You can see your skin more healthy and radiance. The mask also contain Vitamin B3 that protects your skin against environmental damage while helps to revive dull skin and evens out skin tone for more radiant and healthy looking complexion. This mask suitable for all skin types. As you know Lavender can make your skin feel for refresh and re-energize. 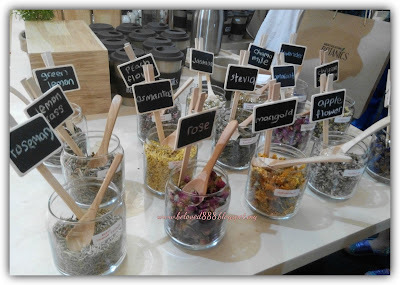 While Chamomile make your skin more clams and reawaken the skin. It helps soothe, repair and pamper skin while protecting the delicate skin against environmental damage. This mask suitable for all skin types especially sensitive skin.